FEATURE — By the soft, soothing tones of her vocals and the calming strums echoing off her acoustic guitar, Lyndy Butler’s poignant music pulls on the heartstrings of young and old alike. At a recent St. George News “Paper Jams” session, Butler brought her uniquely “stubborn” and folksie style to the Canyon Media Center, playing a few of her favorite hits and promoting songs from her upcoming album. Click on the media player above to watch Butler’s “Paper Jams” session. 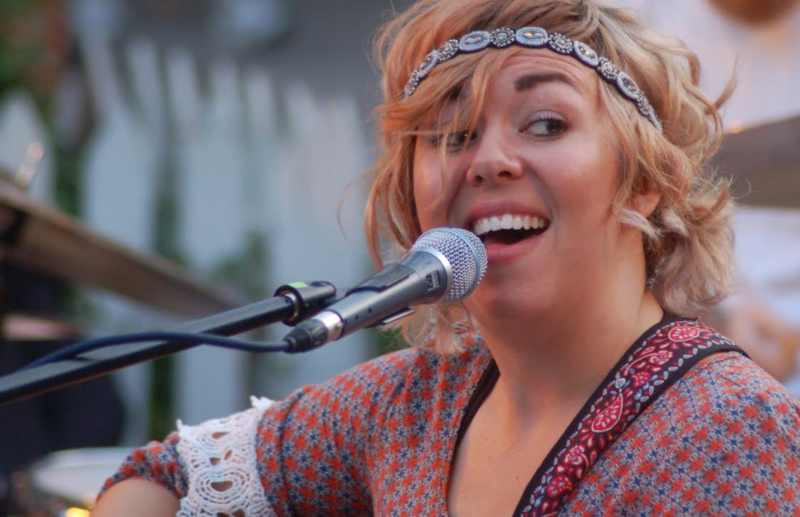 You may not recognize her name, but if you live in Southern Utah, chances are you have heard her song “At the End,” written for Braydon Nielsen, an intensive care nurse and Intermountain Life Flight crew member who tragically died following a traffic collision while riding his bicycle on the Southern Parkway in 2013. All download proceeds from the song benefited Braydon Nielsen ‘Booyah’ Memorial Fund set up at Wells Fargo Bank. With the inspiring words, “So I’ll put one foot in front of the other, smile each step of the way — take the time to lift up another, cuz we’re all running the same race,” the song is a gentle reminder for everyone to be good to one another. “In My Skin,” Butler’s brand new song set to be released on her self-published “Buffalo Skater” in 2019, is a shoutout to anyone in the universe who knows who they are and where they belong and, as with many of her creative lyrics, connects the listener to something we all experience together. You can find much more of Butler’s music ​on iTunes, Amazon, Spotify, Pandora, Bandcamp and at her personal website.